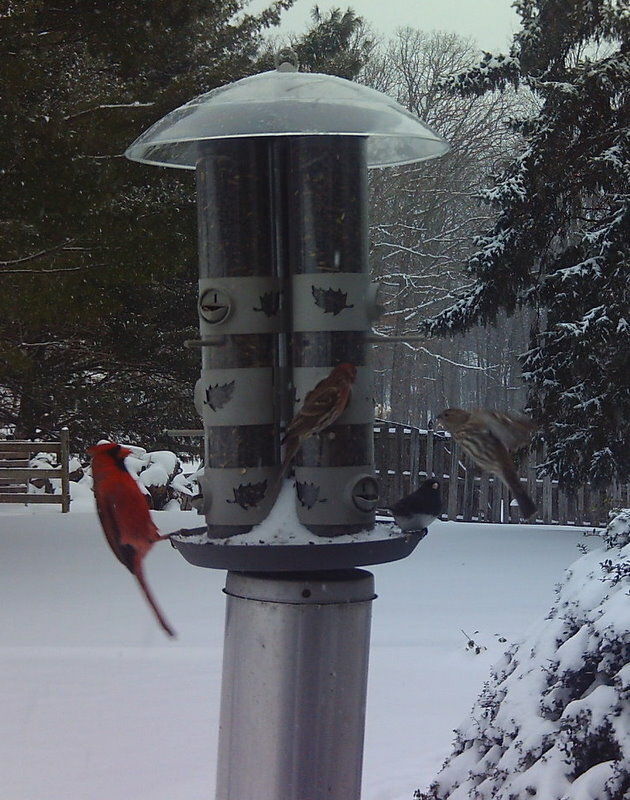 It's been snowing for most of the day and there has been heavy activity at our bird feeder. At one point I looked out and there wasn't a bird in sight except this hawk that was perched in the crabapple tree hoping to catch a small bird or two. I'm thinking it was a sharp shinned hawk. He finally gave up and flew away and within thirty minutes or so, the bird feeder gang was back!